Do you have too much on your plate? What is behind this? 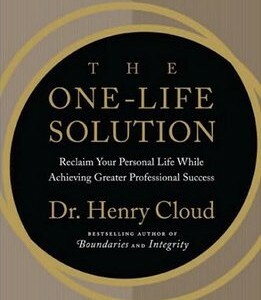 Recently I was reading the One-Life Solution by Dr. Henry Cloud. 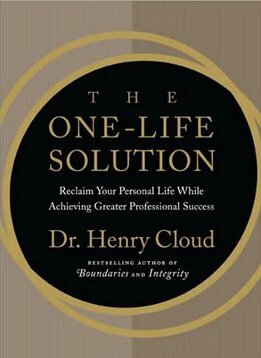 What is the ONE LIFE Solution? What do boundaries have to do with fundraising? But it’s not just about saying no. You need to define yourself and know who you are. What if your title is Development manager, and it’s been development manager for the last 3 years, even though you’re the only development staff person? You need to agitate for your correct title, development director. You need to contain destruction and keep it from spreading. What does this mean? What if your boss is always springing things on you at the last minute? Oh yeah, we need the letter to go out next week. What letter? Oh yeah, that grant report is due today. What grant report? This is crazy-making and stressful and will burn you out much faster than if you can enforce good boundaries and nip this attitude in the bud. You need to be able to overcome other people’s lack of planning in your job by developing better boundaries. Check out Dr. Cloud’s laws about boundaries. Law 1: The Law of Sowing and Reaping. What does this mean? Let’s say you are bringing in tons of money for your nonprofit. And your boss or board does not fundraise. Meanwhile they are starting projects that you have no decision-making power in. And these projects are going to drain the coffers for the programs you just funded. This demotivates you. The boss and board need to be responsible for raising money for their priorities, and not taking money already earmarked for other things. This is part of a culture of philanthropy, that says everyone is responsible for fundraising. If someone is not pulling their weight, but suffers no consequences for this, then they drain everyone who IS pulling their weight. A fundraising friend told me about a boss like this once. He would not fundraise, and the friend was a one-person shop responsible for raising money for all of his expensive projects. This boss was a financial drain on the organization. Eventually he was fired and balance was restored. Here’s another example. I remember in a nonprofit once my boss had hired someone who did not know how to do anything online, including how to attach a file to an email. He asked me one day to teach him how to attach a file to an email. I kindly showed him how. A week later he asked me again and I said, “No, that is not my job.” It was not my job to be the tech person for the office. If other people can’t figure out their technical difficulties, it might be helpful for the staff to have a full day of training on how to use certain computer programs. But that is not your responsibility to do things for them over and over again. Law 3: The Law of Power. What does this mean? When you feel like you do not have power, it’s because you gave it away. You have the power to give your power to others. Nobody else has this power. You don’t have to give that boss or board member control over how you feel about yourself, or what you think of yourself. You can consciously take that power back, and affirm that no matter what anyone thinks of you, you are a good person and you have done your best in the situation. Bottom line? Focus on what you can control. Yourself. Law 4: The Law of Respect. What does this mean? It means that you need to be able to respect when other people say no to you, too. This means not trying to bully them into saying yes to you. With fundraising this can be hard, because even if board members have said, “Yes I will fundraise” by signing the board job description, it doesn’t mean that they will actually do it. In the second part of this post, we talk about the next six laws. How to take back your power at work? Read on.